Comments: This is an excellent tropical plant that is a prolific bloomer during the hot months of the year. Provide full sunlight and a well drained soil. It makes an excellent container plant for the patio, terrace and other places where the flowers can be admired up close. 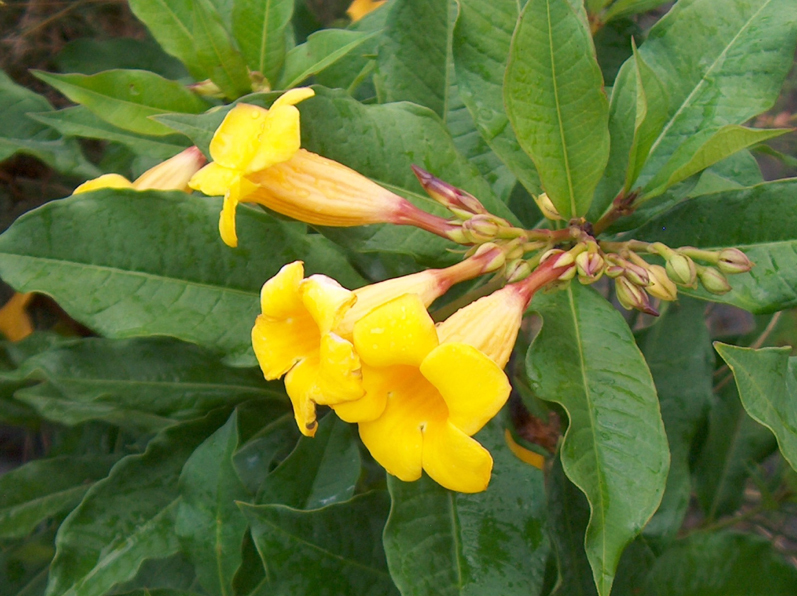 This plant grows as a shrub rather than a clammering vine that is characteristic of the regular allamanda. Dead-heading the old flowers will encourage more flowers. Flowering is best during the hot humid summer and stops when temperatures drop below 60 degree F. at night. This tropical cannot tolerate freezing temperatures. It is sometimes used as an annual in large color beds just for its summer flowering.